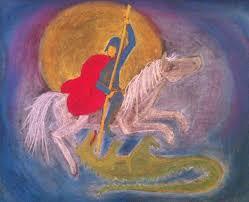 This week begins with the Autumn Equinox and ends with Michaelmas! All around us we see signs of transformation at this time of year. The equinox is the time at which the sun crosses the celestial equator, and day and night are of equal length. The Autumn Equinox encourages us to celebrate the last of the summer’s abundance and warmth and to clean out the “dead wood” in our lives. If you’ve been feeling stuck, now is a great time to tune in to what is important to you and has been calling you, let go of what no longer works or is no longer in support of you and your goals, and step forward with courage to bring your plans into being. This weekend, the LifeWays North America board of directors is meeting in the tiny town of Green Lake, WI for our annual board retreat. What an auspicious time for a board meeting! Please hold us in your thoughts this weekend as we make plans and decisions about how best to support YOU in the coming year. And if you have a suggestion for us, leave it in the comments below! We promise we’ll read it and take it to heart. These simple homemade toys are great fun! Children love to see simple natural materials transformed into a lovely plaything. 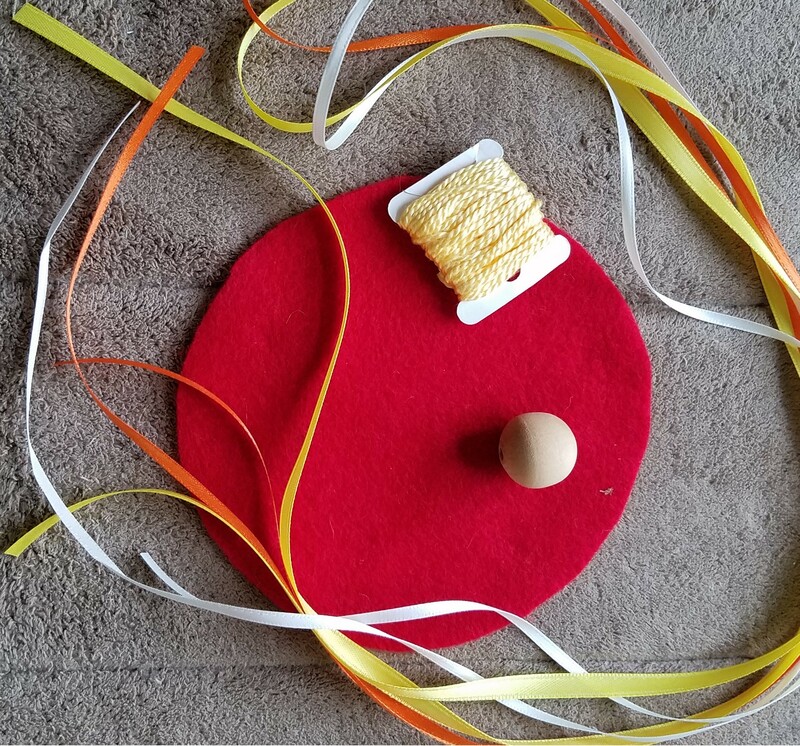 1.Place fine sand carefully in the center of your felt circle. 2. Gather up the edges, and tie tightly with the pearl cotton as close to the sand ball as possible. 4.Tie the loose ends of the pearl cotton together with an overhand knot; trim ends but not too close to the edge. 5. Thread the knotted loop through the bead, open the loop and pull the whirly-twirly through to secure your handle. 6. Hold onto your bead handle, twirl and have fun ! Michaelmas whirligigs from LifeWays North America on Vimeo. 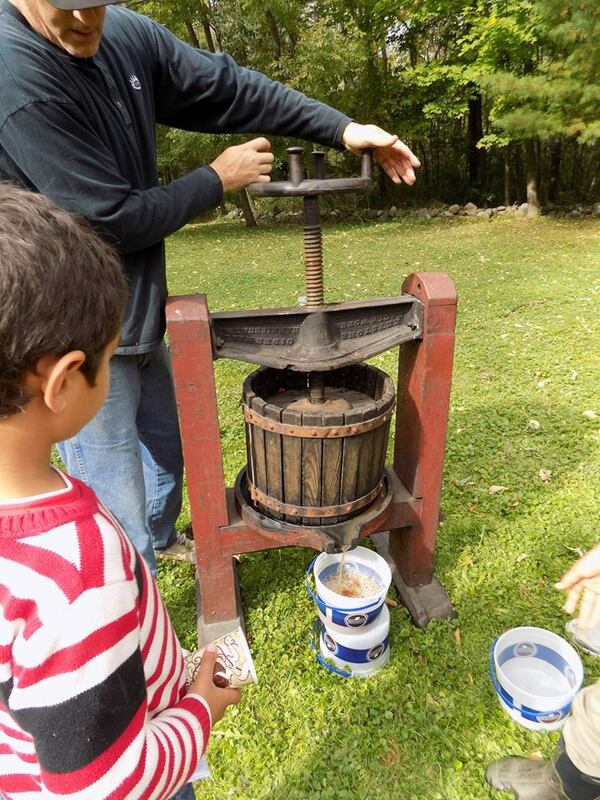 One of our favorite traditions around the autumn equinox is to press apple cider. We ask that those invited to gather any variety of apples that are unsprayed and not rotten. We set up chopping stations for both adults and children (children can use handled wavy knives to chop safely), the ooky bits are transformed to compost. We chop and chop and find the stars inside of our apples, we visit and work together to fill up the press. When it is time we all work together to twist the big handle round and round and when it gets tough to turn, we know the cider will flow soon. The children gather beneath the press with their mason jars and wait for the first stream of juice to flow. There is nothing like the big smiles and enthusiastic cheers when fresh sweet cider fills their cups. 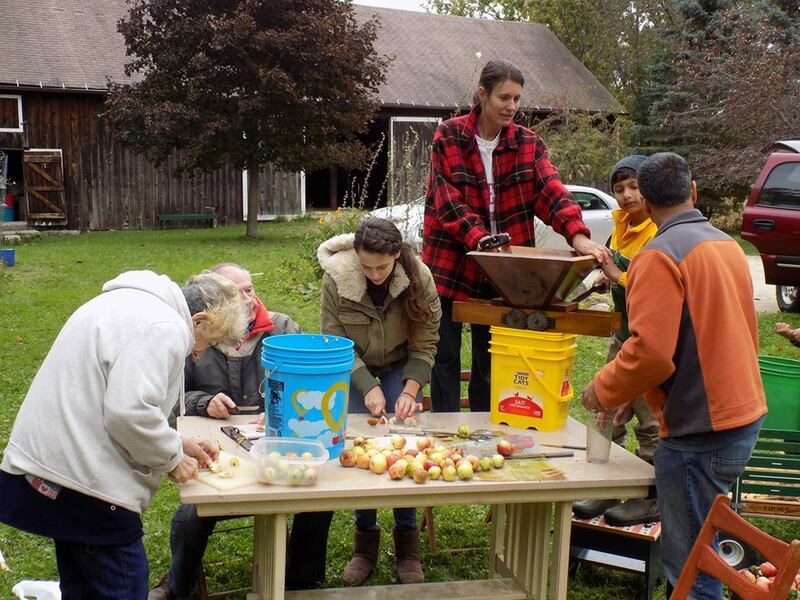 It’s a fun annual tradition and many local organizations offer a free or rent-able apple press. A few places to check are a local hardware store, if you have a local Slow Foods chapter, your grange or perhaps there are community events at a farm or orchard. 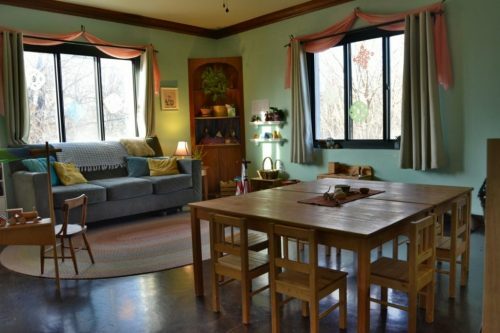 Transform your Early Childhood Program into a home! Do you love the idea of home-like care for young children, but aren’t sure how to make it a reality in your childcare setting? Even if your program is in your home, it can be hard to figure out how to make the space and the activities feel home-like when you are caring for a group of children. Sign up now for Rahima Baldwin Dancy’s online course, beginning on October 3rd! “Bringing Home into your Early Childhood Program” is packed with juicy goodness and wonderful wisdom from an expert in the field who has transformed her own program into a lovely home for children. Rahima is the author of the book You are Your Child’s First Teacher, and this ALL NEW five week course is wonderful. Register yourself or with a group (5 or more people enjoy a sizeable discount!) You can earn 15 hours of continuing education, too. Click here to learn more about this amazing opportunity to learn from a master in the field of Waldorf early childhood education! 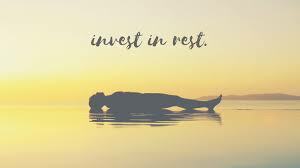 This weekend at our board retreat, the LifeWays board will be doing Yoga Nidra together. Yoga Nidra invites us to that place of deep relaxation, between waking and sleeping. Do you want to join us? We will be using this free audio download. We invite you to join us in deep relaxation! All of us practicing together across the country will be pretty powerful, don’t you agree? We’ll be doing our Yoga Nidra today and tomorrow at 3:45 p.m. Central Standard Time. Thank you for all you do. It feels wonderful to be supported by such a loving group of teachers. Thank you, Jerilyn! I hope your school year is off to a good start.